Download and Print – Click here to download and print a 8.5 x 5.5 gift card (or click the preview image below). The gift card is formatted to fit on half a piece of regular printer paper (8.5 x 11). 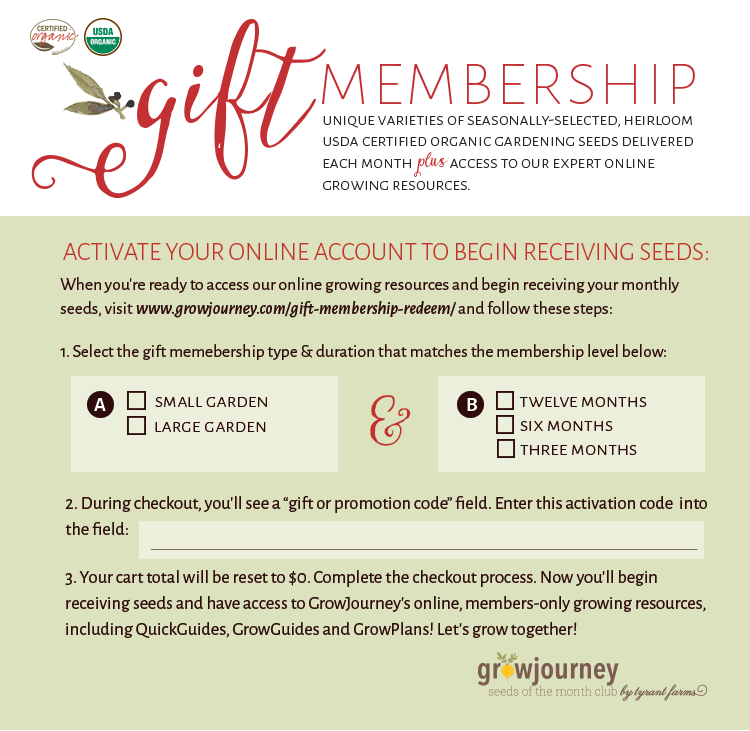 Fill It Out – Once printed, be sure to fill out section #1 and #2 on the card so the recipient knows the level of membership they’re being given and the activation code they’ll need to activate their GrowJourney account and begin receiving seeds. You can find this activation code in the receipt email you received from GrowJourney when you made your purchase. Give It – Wrap it or put it in a card, and give it the recipient when the time is right!